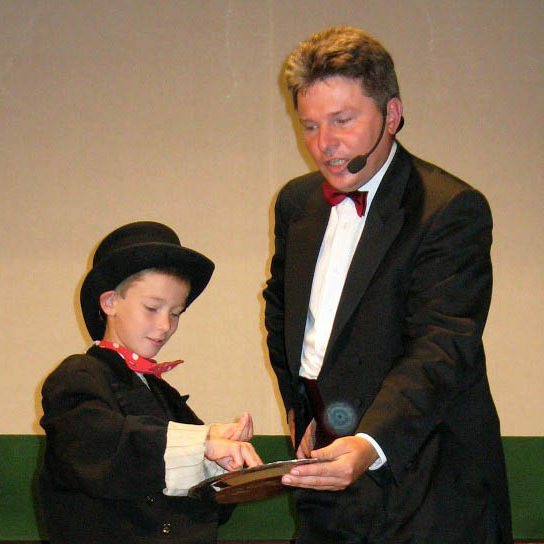 GRINO magician to children’s programming selects merry tricks that are interactive. Children learn to witchcraft directly involved and become part of a magic show. Viewers experience the fairy tales full of magic, there are even animals. GRINO magician with his team operates its own art agency, which collaborates with a number of artists from different genres. So we can prepare for you a great variety of programs with spells and other art performances „sewn“ you tailor.